Would you want your party more charming? Just use it! - Strobe effects, 360°full Color rotating lamp. - Long life up to 10,000 hours, no need to change lamp. - 3 operation modes: DMX, Master/Slave Sound Activation. - Delivering 34 razors sharp powerful beams. 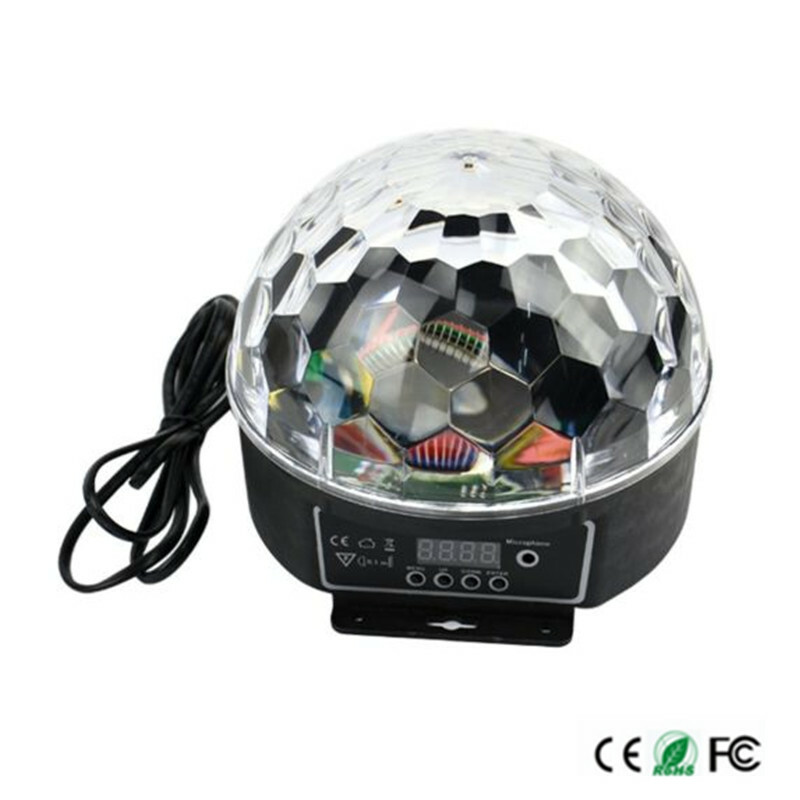 - Its light spot on the wall, the effect likes glass ball, very bright and powerful. - High quality warranty, safe and reliable. - Compact plastic housing, exquisite appearance. - No UV rays, environmental-friendly. Home, KTV, family party, bars, hotel, DJs, night, shop etc. 3 years Warranty. Buy with confidence! Adhering to our business philosophy of \'quality, innovation, integrity and service\' and driven by market and customers’ demand, we are always targeting at providing customers with the most safest, environment-friendly, energy-saving, high quality products and best services. Driven by continuous innovation and improvement, we are committed to endeavoring to realize our corporate goal of “illuminate the world and people’s life”.